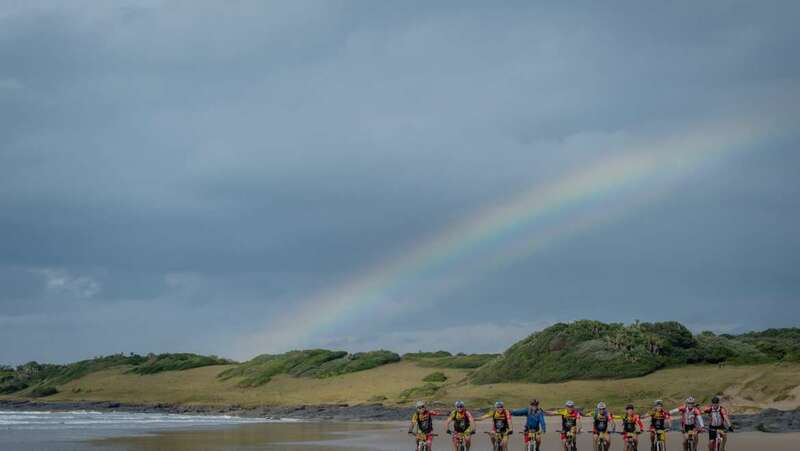 The winds and waves have washed the tracks away and the wild coast bears no visible trace of the two hundred wheelsets that trundled east between the Great Kei River and the Umngazi River at the beginning of August but for those who participated, the seventeenth Imana Wild Ride will be forever a treasured memory. A record successive fifth win for Warren Price with first time Imana Wild Rider Darren Lill, a seasoned professional cyclist. The Safire/USN pair claimed race honours on the final day after a close duel with rivals Tyronne White and Andrew Hill (TIB/Thule) who had led the race from day one. Sadly, tyre problems and an ill-fated logistical decision in the final few kilometres cost them their victory, giving Price and Lill the narrow gap to power home for the glory in a new course record time of nine hours, one minute and fourteen seconds. Ideal racing conditions combined with the strongest racing field ever seen at the Imana Wild Ride saw the previous course record of nine hours, thirteen minutes and four seconds, set in 2012 by Price and partner Craig Stone, completely smashed. For all their efforts, the TIB/Thule pair finished less than one minute back (9h02.06) in second place. Third place was held by a consistent performance from race stalwarts Craig Stone and Nic Lamond (RSA Web) in nine hours, thirty-nine minutes and 51sec. The new breed of Imana Wild Ride champions emerged in the Stellenbosch pair of Damon Stamp and Michael Lord (aka the Long Legged Lighties) who proved their potential by finishing in a creditable second fastest time for the final day – just less than three and a half minutes down on the veteran pros. Were it not for their bad luck in losing valuable time on both the first and second stages due to punctures, they may well have found themselves on the podium but instead were content with fourth place. Fifth team home was five time winner Nick Floros with partner Willie Brink. The mixed team honours went to Ian and Jane Seggie, who claimed they were not there to race, but still posted notable finish times each day and completed the event just outside the top ten in twelfth position overall with an accumulated time of thirteen hours, forty-two minutes and 13sec. The highlight of the seventeenth Imana Wild Ride was the opening of the thirtieth classroom block which was presented in the form of a brand new pre-school in the Folokwe village near Xora River Mouth on Monday 1st August. This grand occasion was celebrated by the entire village, the teachers and parents from the Bulungula Incubator programme, representatives from Elangeni Builders, the Wild Ride Education Company, race sponsor Imana Foods, the race organisers and a few of the participants. It was a fortuitous meeting which allowed the Imana Wild Ride to make contact with the Bulungula Incubator programme under the leadership of Dave Mills and Rejane Woodroffe in March and after a site visit the project steamed ahead. Between the end of May and early July, Elangeni Builders erected the pre-school comprising two classrooms, a staff room, kitchen and two storage rooms and the Masiphathisane Pre-school was born. 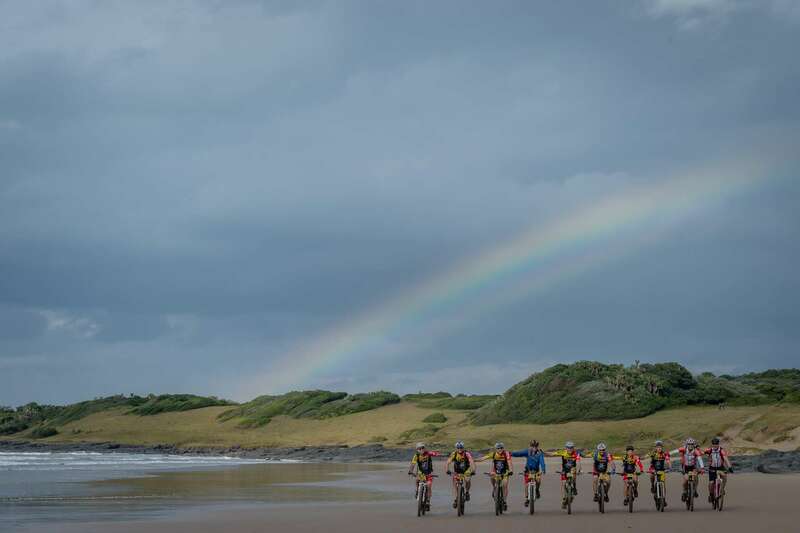 Overall Men: Warren Price & Darren Lill (Safire / USN) 9h01.14, Andrew Hill & Tyronne White (TIB Thule) 9h02.06, Craig Woods & Nic Lamond (RSA Biogen) 9h39.51, Damon Stamp & Michael Lord (Long Legged Lighties) 9h50.04, Nick Floros & Willie Brink (Wild Ride) 9h51.27. Mixed: Ian & Jane Seggie (Seggie Square) 13h42.13, Philip & Yda Hurter (Hurters) 15h37.35, Kathryn Robinson & Robert Scholtz (Office Space Online) 15h58.32.